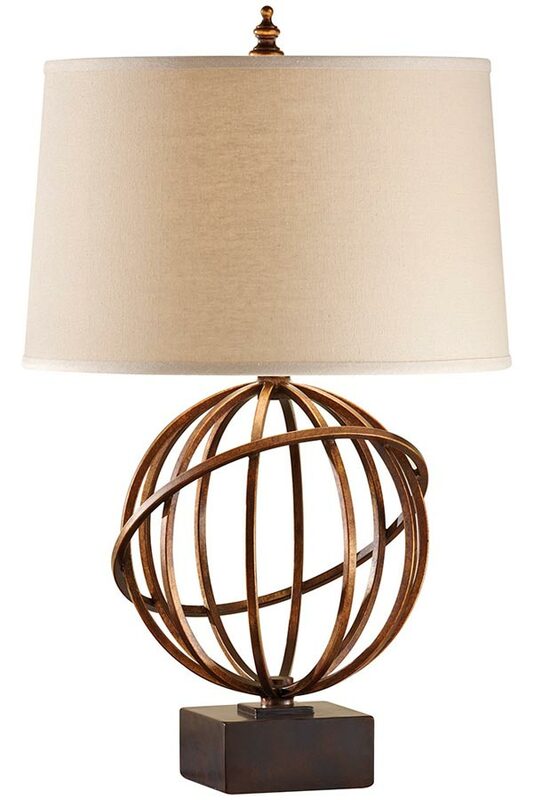 The Feiss Spencer 1 light table lamp in firenze gold finish with dark tan shade is traditional and features a square dark walnut finish base, with globe formed from steel bars finished in gold. Fitted with a tan linen 16″ tan linen tapered drum lamp shade and top finial. This classic table lamp echoes opulent designs from the early 1900’s. The firenze gold finish complements the mellow walnut finish base and the dark tan linen shade contrasts beautifully. 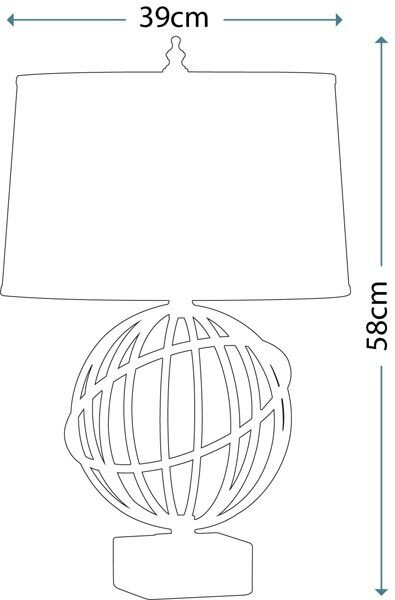 A medium sized table lamp that looks fantastic on a bedside table, in a reception room, dining room or hallway. Supplied by Elstead Lighting and designed in the USA by Feiss, founded in New York in 1955. 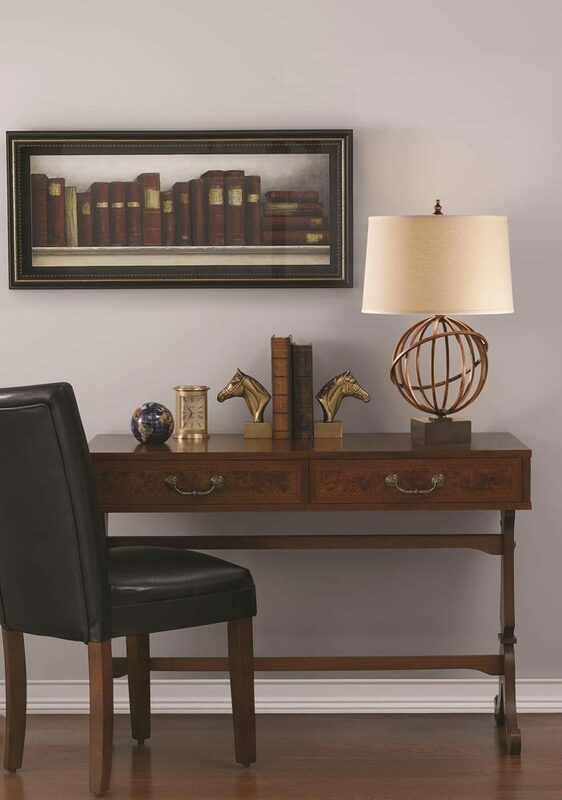 They have become well known over the years for their contemporary yet classic styling, quality and great original designs like the Spencer 1 light table lamp in firenze gold finish with dark tan shade featured here. Getting the right ambience in the bedroom is important so we’ve put together a fantastic range of lamps perfect for beside the bed to make sure that you get just the right lighting for your needs.